"PolyNome does it all. From Chaffee-esque polyrhythms and stickings, to clicks and grooves in any time signature, to printing set lists for the band–it's my go-to app for gigs and practice." 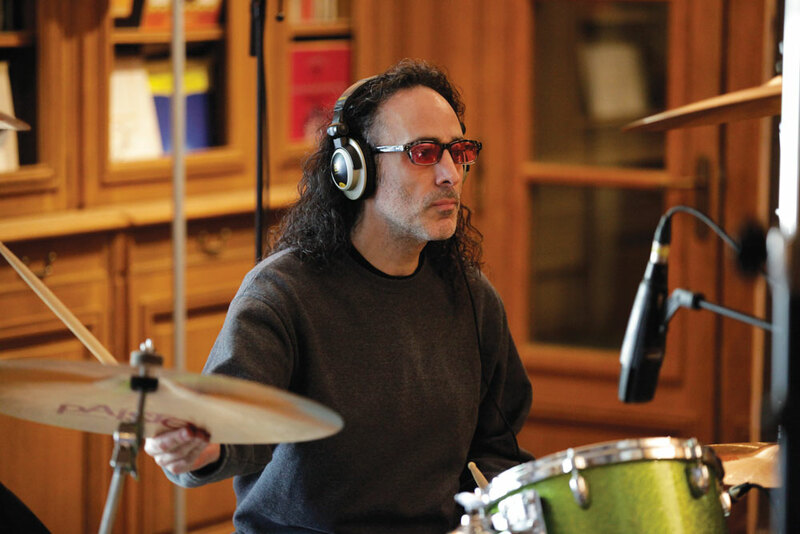 Jonathan Mover is a Grammy Awarded world-renowned professional drummer/percussionist who has recorded and/or performed with a variety of artists including Aretha Franklin, Alice Cooper, Joe Satriani, The Tubes, Shakira, Fuel, Everlast, Frank Gambale, and Julian Lennon to name a few. Having appeared on over 250 recordings, Jonathan now adds the titles of Publisher and Editor-In-Chief of the number-one drum magazine in circulation, Drumhead–making his career in music about as diverse as they come. Mover also has production and/or engineering credits with artists such as Shakira, Fuel and Celine Dion, as well as the film Loose Change 9/11: An American Coup; composition and/or arrangement credits with Marillion, GTR and Joe Satriani, and has released two critically acclaimed solo projects–einstein won and einstein too. Adding to his range of musical activities, Mover is also owner and CEO of L.A.’s newest and busiest music and film multiplex, Swing House Studios, while previously owning one of Manhattan’s finest state-of-the-art recording studios, Skyline Studios NYC for 17 years. Back when I was studying with Gary Chaffee he introduced me to a metronome called the TriNome, which allowed you to program and hear polyrhythms. PolyNome does that and then some. I can use it to quickly work out what a variety of rhythmic ideas would sound like, and it’s great for working with odd-note groupings like 5s, 7s, 9s… and so much more. When I have occasional sub work with bands like Saigon Kick, or the last minute rescue call for an Alice Cooper tour, I can not only instantly pull up clicks and count-offs for every song, I can also include notes about anything from song structures to particular fills and cues. I’m loving PolyNome now, but wish I had it 20 years ago!